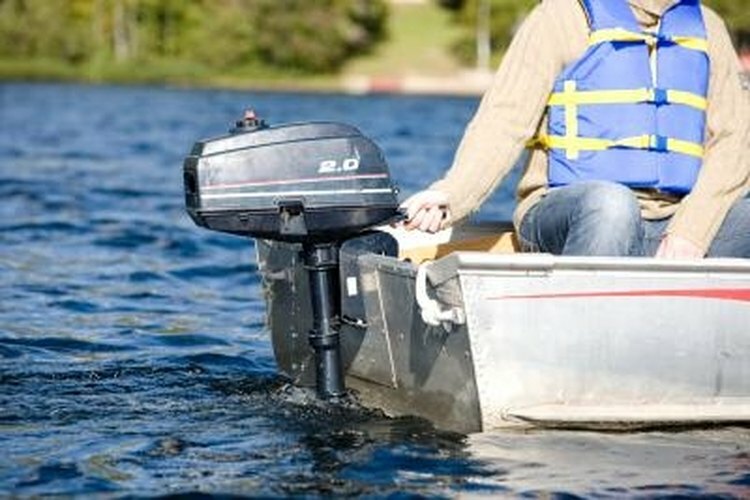 Most small outboard motors use a magneto. While bolting an anode onto your boat may seem unnecessarily complicated at first glance, the "cathodic protection" gained by attaching an anode, or "zinc," to your aluminum boat to prevent galvanic corrosion of your hull is always a good move: the anode deteriorates, instead of your boat. The choice of "zinc" depends on your boating environment. If your boat is used primarily in fresh water, your "zinc" should be made of zinc; if you normally boat in saltwater, your aluminum hull should be protected by a magnesium anode. Clean the area where the zinc will be attached. Use your palm sander to remove any paint other than the surface finish: the key to cathodic protection is solid, uninterrupted contact between the zinc and the boat. Rinse your hull after you sand, to remove any residue that may interfere with the required contact. Drill 1/2 inch holes in your hull, using the tracings of the zinc's mounting holes as a guide, then hold the zinc in place, insert the bolts through the zinc and the hull, and screw the nuts onto the bolts. Tighten the nuts into place until the zinc is firmly against the hull. Solder a wire to the nut onto the bolt, using silver-core solder. The American Boat and Yacht Council, a boating industry organization, recommends adding a "bonding wire," soldered to the nut and grounded on the engine block of the boat. While Michael Kasten reported in the Summer 1998 issue of the "Metal Boat Quarterly," that the jury was still out on that concept, the Boat Owners Association of the United States magazine, "Seaworthy," appears to be of a different mind. Pelaginox.com: "The Galvanic Series: Metals in Seawater"